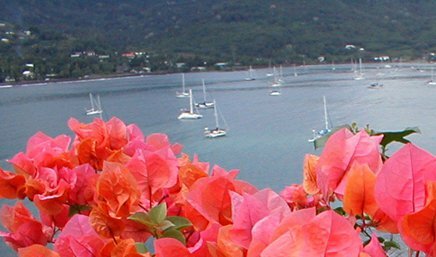 He’e Tai Inn, bed and breakfast, is set in a floral setting with the restaurant (informal yacht club) nestled close to the beach and museum/art gallery near. 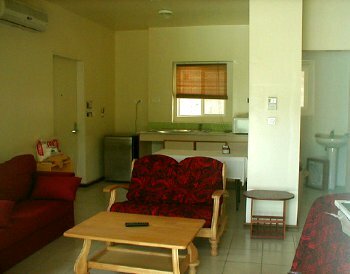 The rooms are large, air-conditioned, overhead fan, hot water and fully screened. 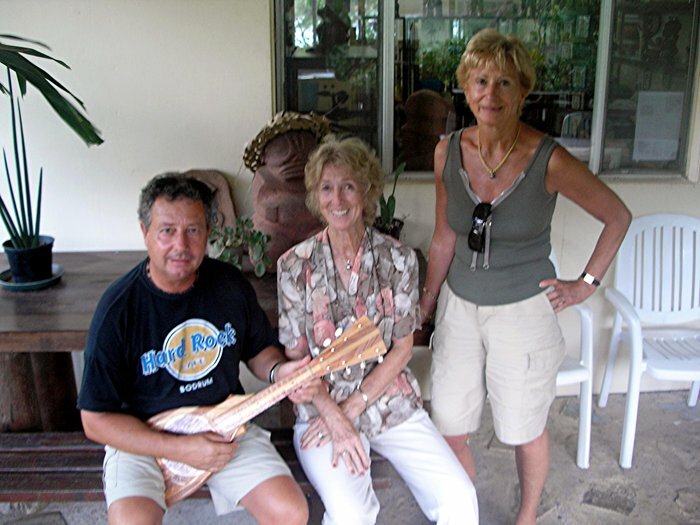 Restaurant/bar offers a local and seafood menu with a marine atmosphere. 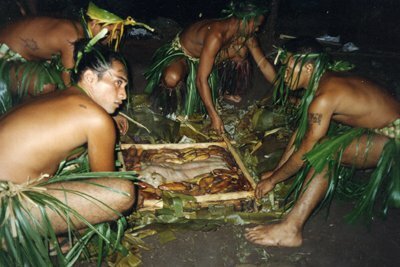 Cultural soirées are regular with the roast pig, dance group and local music. 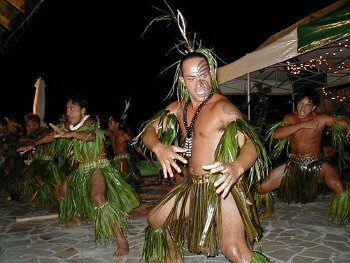 MARQUESAS ISLANDS, Land of Men to its inhabitants, abound in spectacular scenery, sculpted cliffs rising from the sea to peak at 4000 feet indented with verdant valleys of coconut palms. 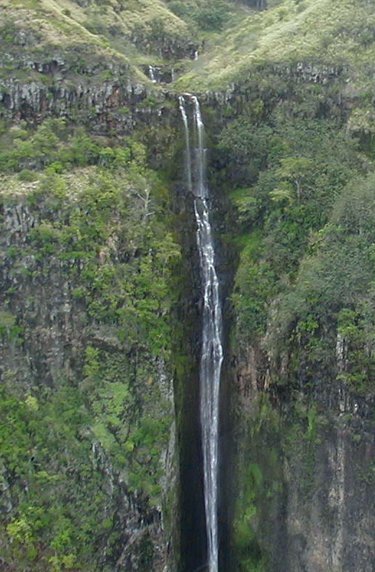 These valleys often dotted with cascading waterfalls. 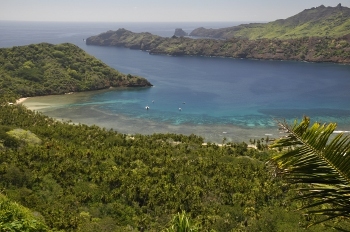 Although located in the crossroads of both sea and air travel, the Marquesas are still considered one the most remote places in the world. 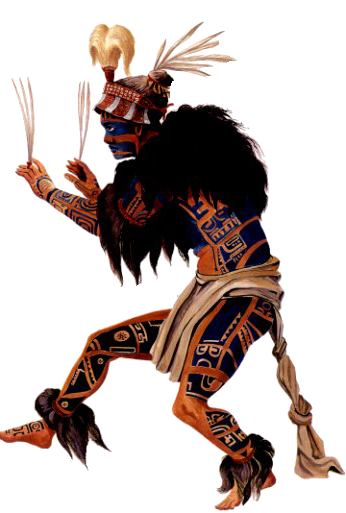 plan your stay – vacation or adventure – in the land of the tattooed warrior! 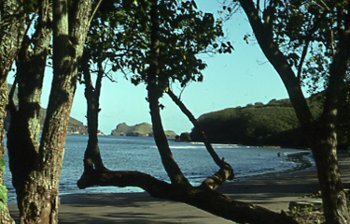 **Today, Nuku Hiva offers the same extraordinary landscape which was described many years ago; the magnificent countryside with endemic birds unique to the islands, plants and archaeological sites as well as the contact with the Marquesans of today and their modern culture. 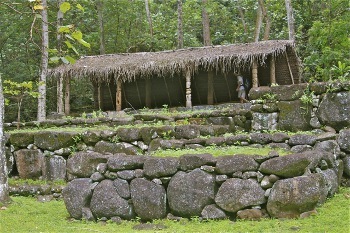 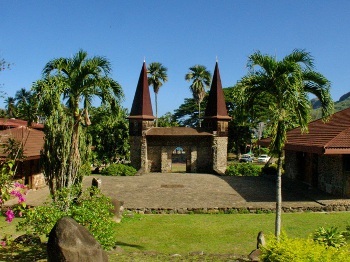 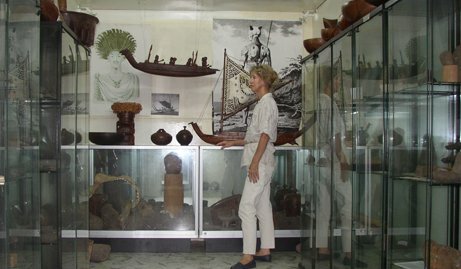 **Enjoy visiting the museum – relics from their arrival to modern times and the art gallery which offers unique carvings in bone, wood, coconut shell and tapa from Fatu Hiva. 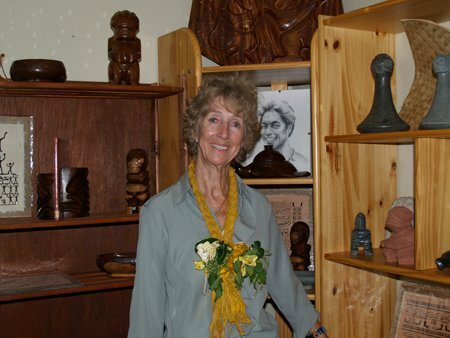 Specialty of the museum boutique, Rose Corser, owner, works with the local master carvers to offer exact replicas of museum artifacts as well as beautiful modern creations. 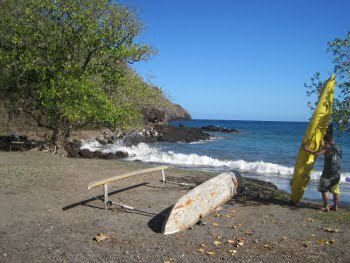 **Excursions : Whether on a tour of the village with a guide or just wandering by yourselves, visiting the inhabited valleys and ancient sites with a guide, boat and hiking tour to the waterfall of Hakauii, horseback riding through the lush plateau area, we can arrange your stay to relax or discover the wild natural beauty of our island. 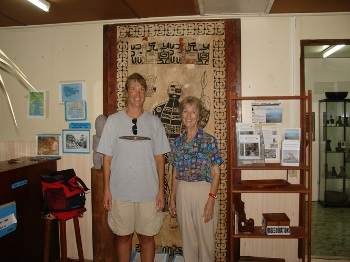 For you to leave with memorable souvenirs of the sites and sounds of Nuku Hiva is our goal.